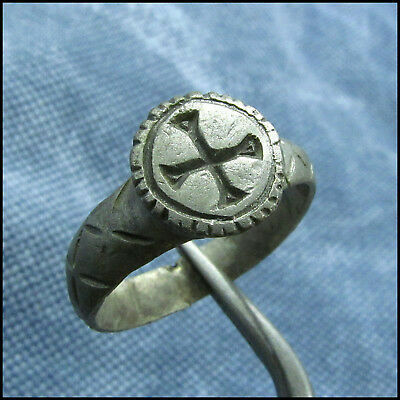 " C R O S S " Ancient Silver Byzantine Ring !!! Popularity - Very high amount of bids. 2 views, 0.0 views per day, 164 days on eBay. Normal amount of views. 1 sold, 0 available. Very high amount of bids. 2 views, 0.0 views per day, 164 days on eBay. Normal amount of views. 1 sold, 0 available. Seller - 230+ items sold. 0% negative feedback. Top-Rated Seller! Ships on time with tracking, 0 problems with past sales. 230+ items sold. 0% negative feedback. Top-Rated Seller! Ships on time with tracking, 0 problems with past sales.